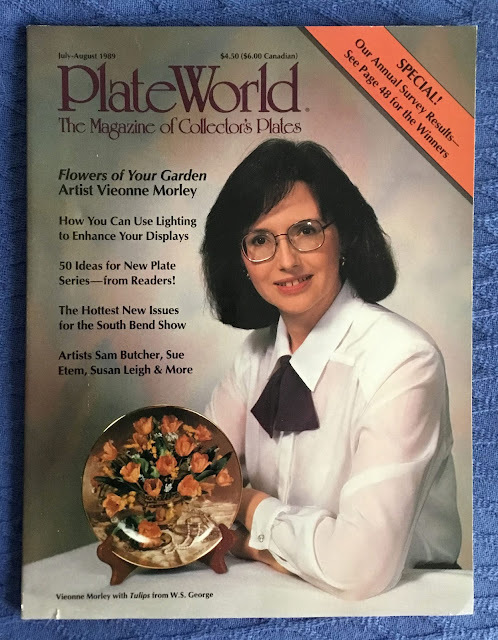 Publisher: Plate World, Ltd., Niles, Illinois. 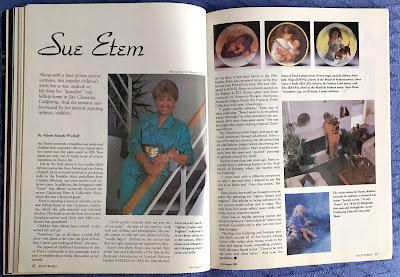 Features: Mixing Art with Motherhood: Vieonne Morley; Plate World Reader Survey Results; Pasadena Show Review; South Bend Showcase; Sue Etem; A Conversation with Sam Butcher; Indiana Jones: The Last Crusade; Winning Images; 50 Ideas for New Plate Series; A Splash of Light; Susan Leigh; Greg Perillo Plate Price Guide. 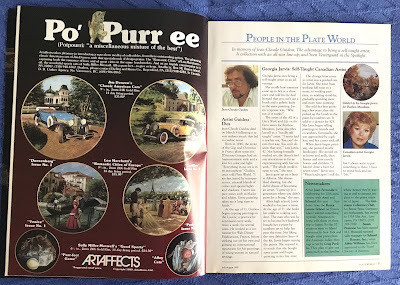 Departments: At Issue; People in the Plate World; Readers Forum; New & Recent; Plate Collecting Basics; Questions & Answers; Classic Series: Knowles Wizard of Oz; Plate Hotline; Today’s Market; The Market Bradex; Backstamp; Collectors’ Club Directory; Dealer Directory; Self-Portrait: Bob Hunn; Index of Advertisers. 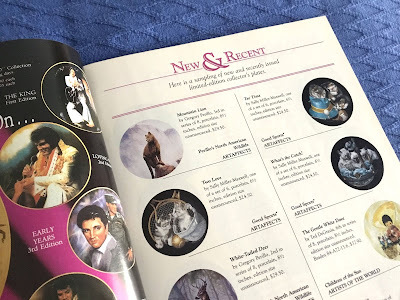 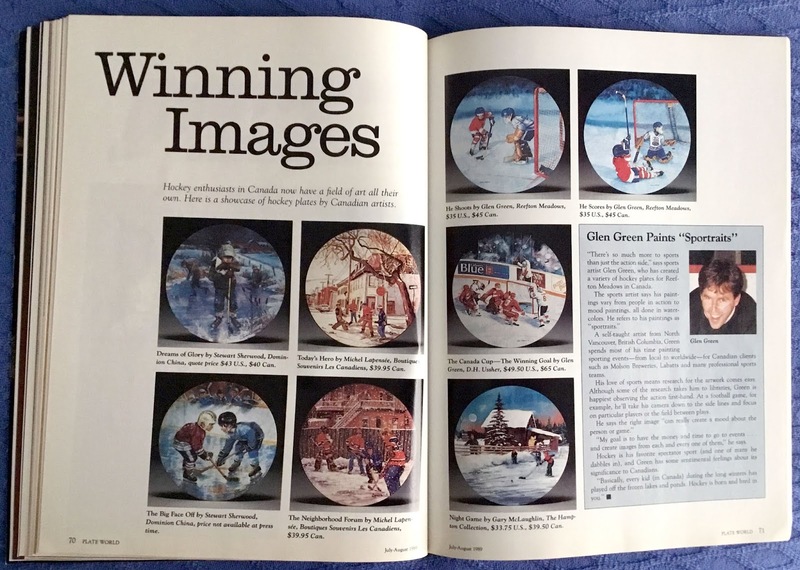 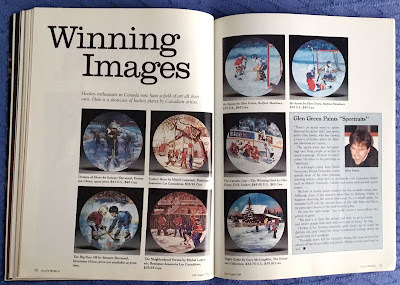 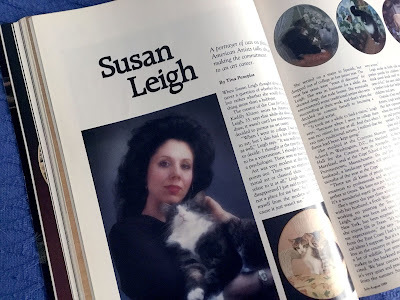 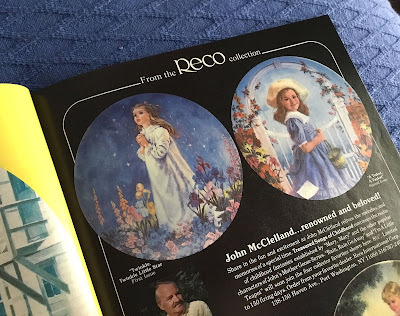 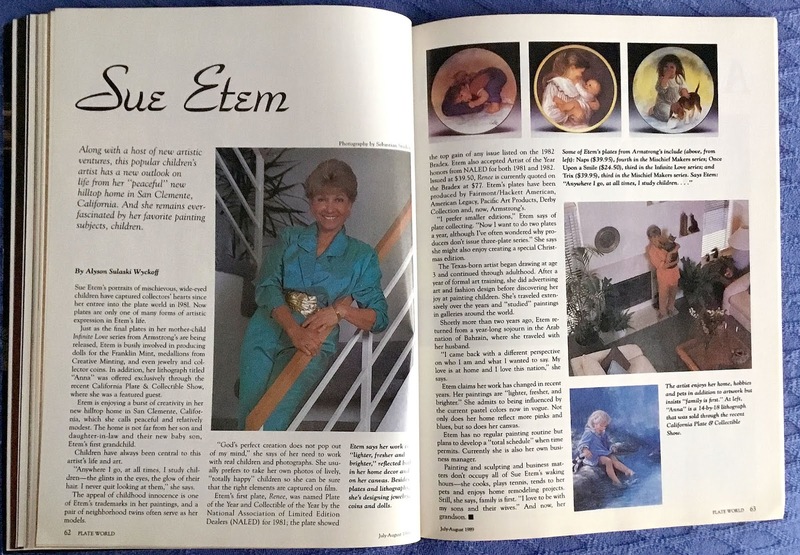 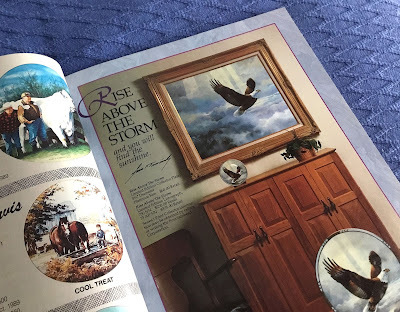 Notes: Plate World offers an intriguing peek into the collector-plate hobby in the 1980s. 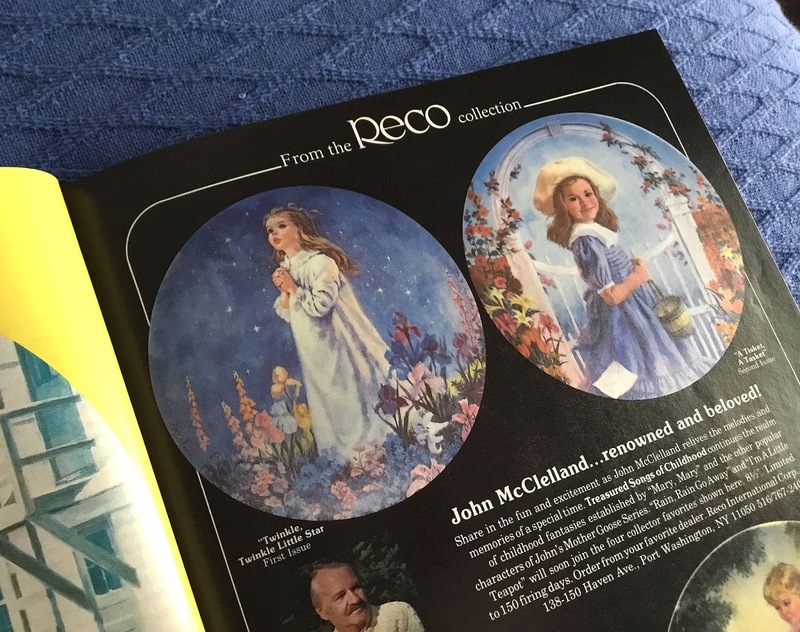 Plate collectors apparently obsessed over the values of their treasures, what makes for a good subject for a collector plate, and delving into the private lives of their favorite collector-plate artists. 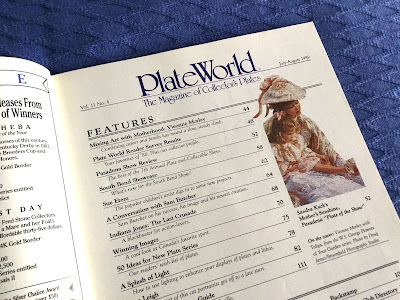 Subject matters for plates mostly ran toward the familiar and/or sentimental (so many adorable children! 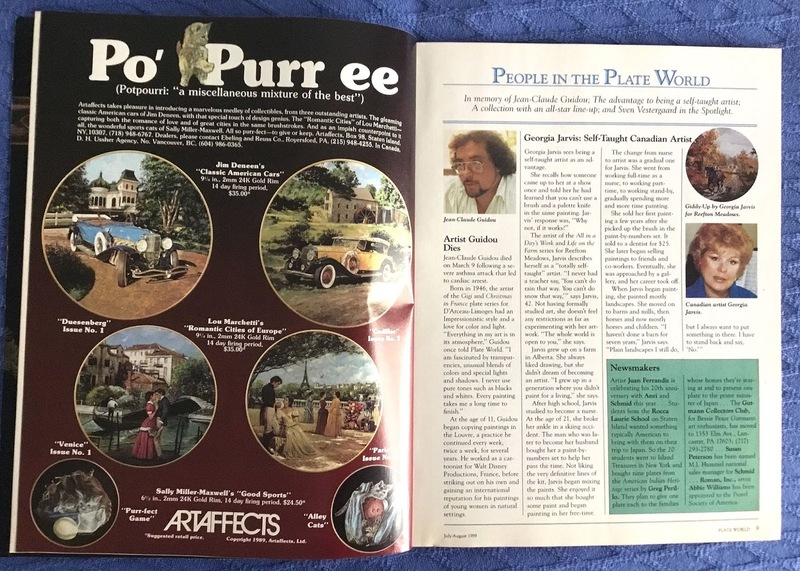 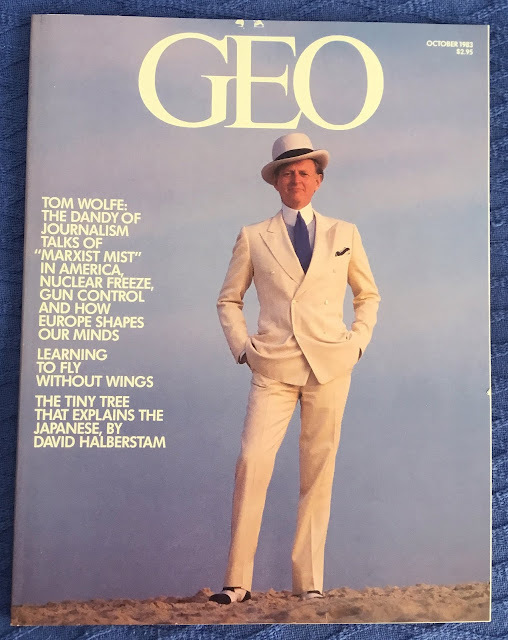 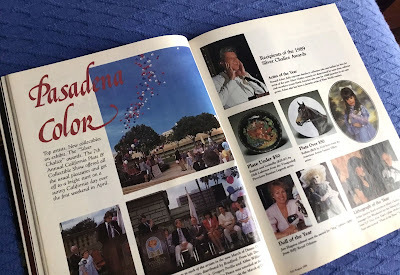 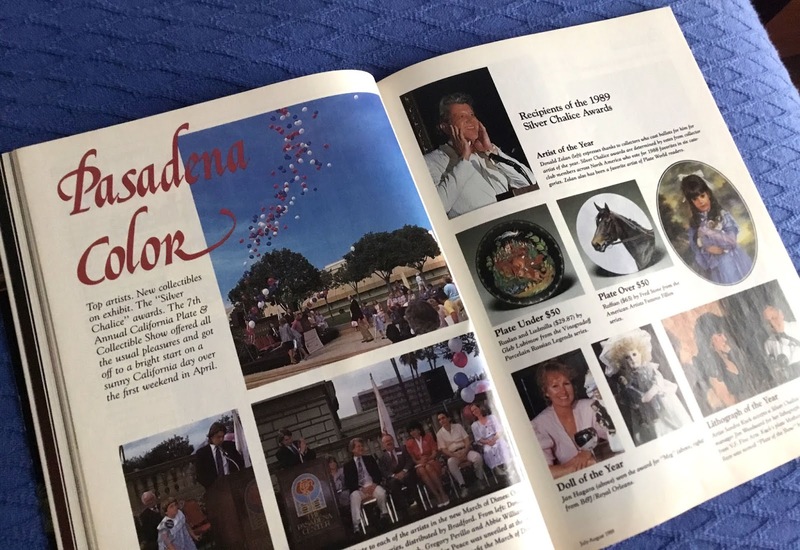 ), with a cursory nod toward contemporary pop culture with one article on a plate commemorating the current box office hit, Indiana Jones and the Last Crusade. 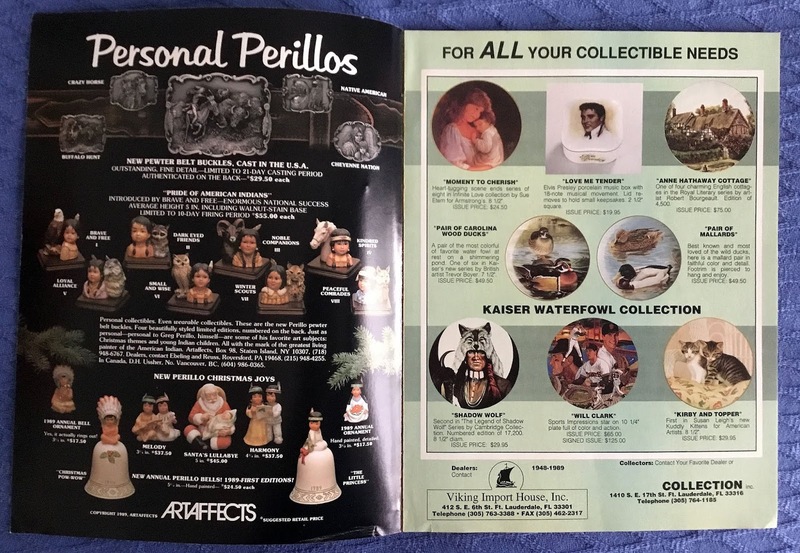 Some of this issue’s advertisements also highlight collectible figurines.